Your supplies and tools can make the difference in your baking and decorating experience. People ask about our favorite supplies all the time so we’ve put together a list of our top picks and our favorite places to find them. This little treasure resides in down town Salt Lake City. Not only do they offer a wide variety of cooking classes in their culinary arts center - including our Blyss cookie classes - but they also carry an endless assortment of kitchen and baking supplies. If you’ve ever had the pleasure of browsing through their store, you know what we mean! If you’re not local to Salt Lake City, never fear, they offer the same selection on their website. 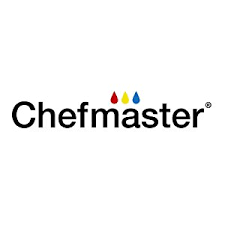 We have been using Chefmaster’s meringue powder for years and it is without a doubt our favorite meringue powder. It has a great flavor and it makes our frosting smooth and shiny. We also love their gel colors and airbrush colors! ADC is your one stop shop for all of your airbrushing and stenciling needs. You can purchase the ADC airbrush, replacement parts, Amerimist airbrush colors, and ADC stencils here. Sweet Sugarbelle and American Crafts have created a great line of cookie decorating products that have changed the world. They’re available from several different retailers but we’ve linked our favorite products here to American Crafts. You can visit Sweet Sugarbelle’s website for great ideas and tutorials using her cutters and products. 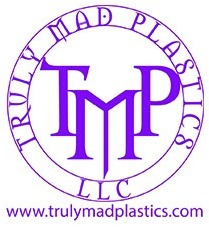 TMP has made it possible for us to share our custom cutter designs with all of you! In addition to having an endless supply of unique cutter shapes, they also offer other great products we love.